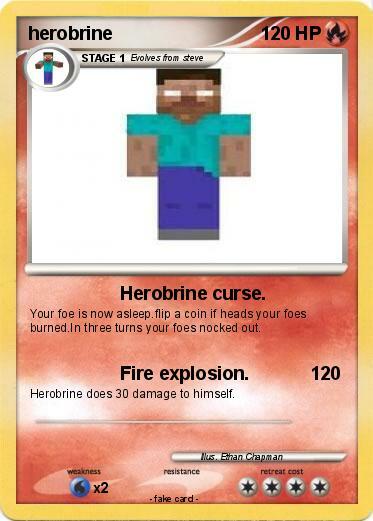 Attack 1 : Herobrine curse. Your foe is now asleep.flip a coin if heads your foes burned.In three turns your foes nocked out. Attack 2 : Fire explosion. Herobrine does 30 damage to himself.